If you are a musician, you have auditory needs that differ from the average person. In addition to protecting your hearing during practice, concerts and performances, you need to be able to clearly hear the subtle nuances of music, as well as the other musicians and voices while wearing hearing protection. Traditional hearing protection is thought of as store-bought foam plugs, which provide noise reduction for recreational activities. However, they fall flat when it comes to preserving the dynamic quality of music. Foam plugs over-protect, which causes muffling of the vibrant sounds across the frequency spectrum, especially those in the treble range. A common complaint with foam plugs is that music is unnatural and unclear. While sufficient protection is necessary, a product that also allows for the enjoyment and accuracy a musician demands is paramount. One specialty product offered at Cape Cod Hearing Services is musician’s ear plugs. These filtered ear plugs are available in both custom and non-custom options to suit your needs. A custom musician’s ear plug is made from an impression of your ear. The plug will fit deep into your ear canal, which maximizes protection and reduces the hollow or resonant sound you may have experienced with other ear plugs when you speak or sing. 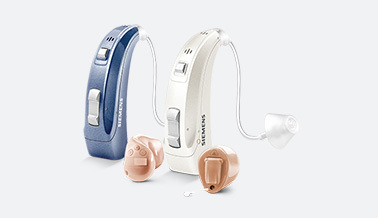 The patented filters allow you to hear your own voice and instruments with unmatched sound quality, while limiting the potentially dangerous decibel levels over extended periods of time. Musician’s ear plugs can be used in other occupational or recreational aspects as well. Some of these include sound engineers and crews, band directors, concert enthusiasts, airline crews, coaches, professional athletes in loud arenas, referees, motorcyclists, truck drivers and medical professionals, to name a few. Musician’s ear plugs are a wonderful option, but some performers need another level of sophistication in order to hear their music in large arenas. Cape Cod Hearing Services is happy to offer in-ear musician monitors (IEMs), which are the current standard in musician technology. This custom pieces allows a musician to monitor their voice and instrumentation in the presence of loud crowds and amplified music. While a custom IEM will offer the best performance, universal-fit musician monitors are also available. These come with interchangeable foam or silicone tips to allow for a semi-custom fit. To get the best musical experience and comfort from your ear protection, a custom impression is often required and should be done by a professional who is experienced with this specialty product. Dr. Chad is a licensed audiologist who will ensure that your custom mold is fitted to your satisfaction, while still providing for maximum protection. Please call our office if you have questions about musician’s ear plugs. We would be happy to discuss how we can assist in making your music experience exciting and safe for years to come.